A Step-by-Step guide for novice to expert. One of the most critical maintenance procedures you need to perform on your car is the changing of the oil filter. But have you ever considered changing the oil filter by yourself? Regular oil filter changes play an integral role in increasing the lifespan of your car and its performance. And you don’t have to run to an auto mechanic every time you want to have an oil filter change. DIY oil filter change is even much cheaper and easier. So if you’ve always wanted to change your car’s oil filter yourself, but never had an idea where to start, this simple guide is all you need. Now, before we cover the main steps of how to change an oil filter, it is important to understand the importance of an oil filter and how often it should be changed. So with that being said, let’s go ahead and dive in. What’s The Importance of an Oil Filter? The oil filter is an integral component of your engine system’s operation. And its importance cannot be underestimated. As the name suggests, it filters grit and grime from your oil, preventing the contaminants from getting into the engine when the oil circulates and lubricates engine parts. When the engine starts running, new, clean oil immediately starts to collect metal flakes and old sediments from oil passageways. As the oil completes thousands of cycles around the engine over time, it starts to oxidize. Other reactions create particles in the oil as well. Some oil passageways in your engine are incredibly small and foreign particles may get lodged in there. And that’s where an oil filter comes in handy. The filter captures the particles and metal flakes, preventing them from circulating through your engine and causing damage. This increases the chances of the engine running efficiently and for a much longer. This, in turn, saves you having to incur heavy repair costs. Oil filter also helps to improve the performance of your car. When an engine stops running, the oil normally drains to the bottommost part of the engine. However, the filter ensures that some of the oil stays in place rather than drain down like the rest of the oil. When you start the engine again, the oil that was retained by the filter automatically starts lubricating the engine. It doesn’t wait for the other oil to rise up. This makes your car to start quickly and efficiently without the risk of damage. Oil filters have limited debris capacity after which they are rendered useless. You don’t want to continue using an oil filter once it reaches its capacity. You know why? Excess pressure will open the bypass valve, allowing unfiltered oil into your engine’s lubricating system. When this happens, stray particles can damage the bearings, journals, and rings. They may also get stuck in chain tensioners and lifters. And that’s why it is important to change the oil filter on a regular basis. The good thing is that oil filters are relatively affordable. With about $25, you can get a high-quality oil filter. But, how do you know that your oil filter is due for a change? Read on. How Often Should You Change an Oil Filter? Different people have different answers to the question of how often you should change your oil filter. Car manufacturers, for instance, often advise that you change your oil filters every other time you have an engine oil change. Oil manufacturers, on the other hand, suggest changing filters with every engine oil change. This is normally after every 3000 miles, or three months, whichever comes first. Replacing your oil filter with every oil change is perhaps the best idea when it comes to upholding the best possible engine integrity. While many oil filter companies advise changing engine oil every 3000 miles, that’s quite unrealistic. Unless your car has a prehistoric engine system that doesn’t filter particles as efficiently. Every vehicle is somewhat different, but the average amount of miles to wait before engine oil and filter change is about 7,500. It’s advisable to check your owner’s manual for the appropriate oil filter maintenance for your car. 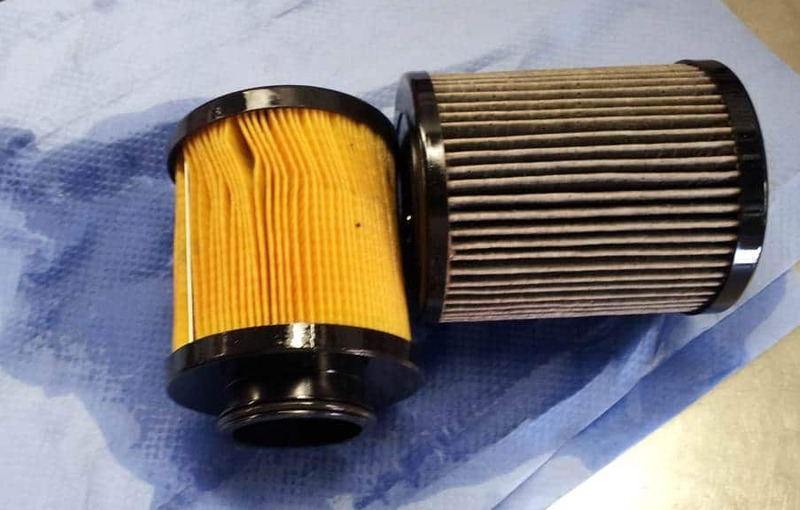 If the Service Engine light is on, you might want to consider replacing the oil filter ahead of schedule. Several things can make the Service Engine light to come on. However, it is advisable to rule out the minor potential causes before you fork out loads of cash for diagnostics and repairs. The purpose of the light is to warn you that your engine system isn’t functioning as well as it should. And that can also be caused by too much grime and particles being in circulation, which can clog your filter unusually faster. It is worth noting that some newer car models have an oil change indicator light. There are sensors that monitor the engine’s oil condition and performance. Using an algorithm, the sensors determine when it’s time for an oil/filter change and then trigger the light. 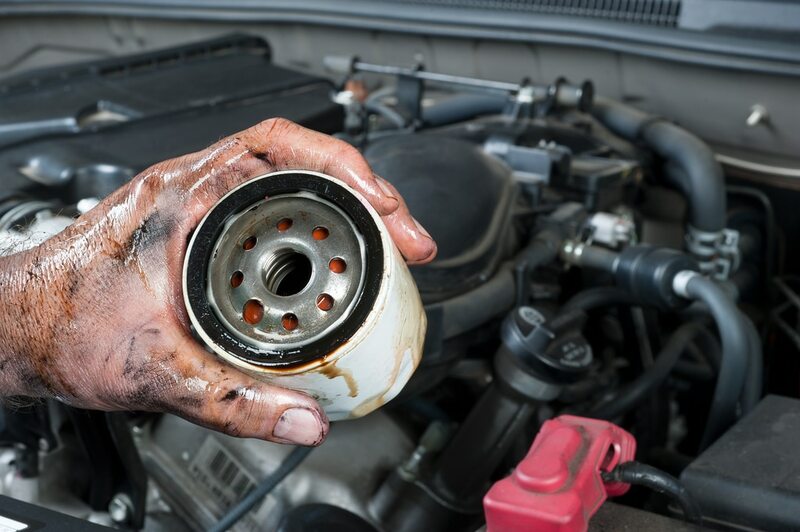 If you often drive in more severe conditions, such as in dusty rural roads, extreme temperatures, or towing heavy loads, you may need to change your oil filter more often. In such conditions, your engine system works harder. This, in turn, calls for more frequent maintenance of its components – the oil filter included.